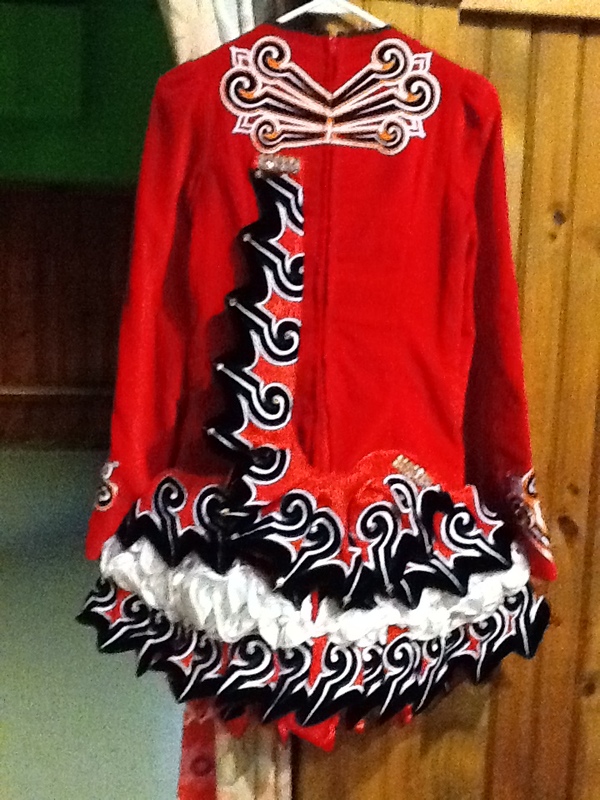 Red velvet Gavin costume in excellent condition! 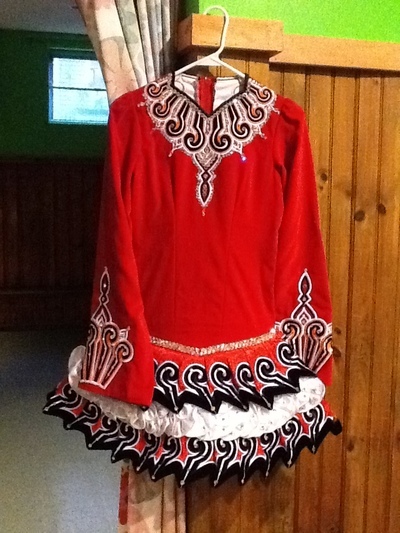 Dress is highlighted with black,white and neon orange embroidery! 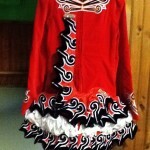 Hundreds of swarovski stones have been added to this costume i am selling this dress on behalf of a mother in our school feel free to email me with any questions! !